The Pesto, created by the sweet combination of local products with an unique flavour, is used as seasoning of ligurian first dishes or tasty aperitives. 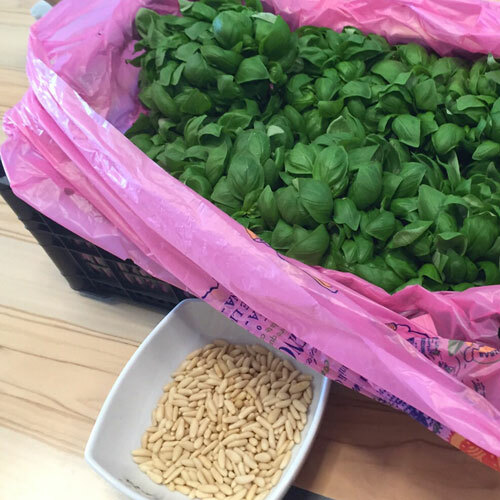 Our Pesto is made with the basil that we grow on our lands. We are proud to reveal the secrets of the technique of the Pesto made with the mortar, leaving from our Fondaco located in Portofino We will walk through the paths that lead to our grounds, with breath-taking view over Portofino from the location called “The Three Lakes”. Here we will stop for a short break where our basil grows to tell you all about it. 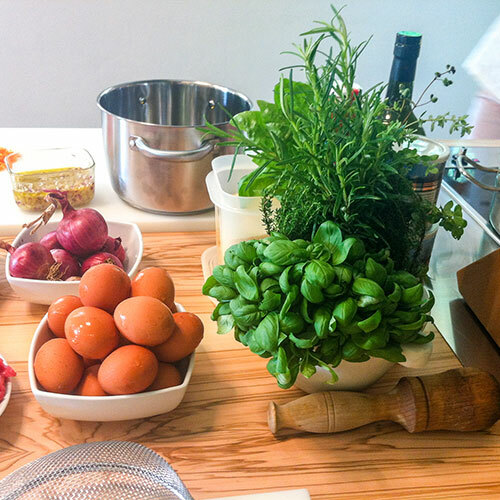 You will then receive the necessary ingredients and a mortar, and our Chef will guide you in the preparation of Pesto. A tasting of Pesto will follow from this unique corner over the village, together with either a Lemonade or our Nostralino Wine.